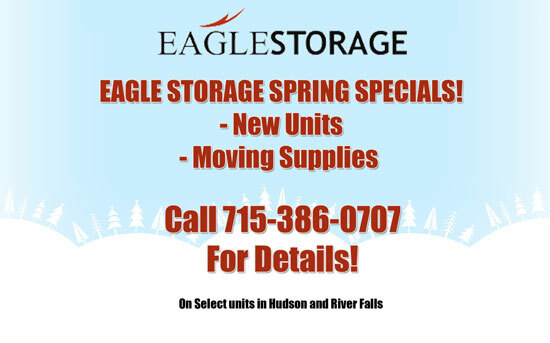 Eagle Storage makes it easy. Need your garage back or want your closet door to actually close? Call us. We have various sized units from 5x10 to 10x40's. We also have climate-controlled units to store those more valuable items or business/personal records. Our facilities are clean and well lit. All units are rented month-to-month so you can move out at a time that works for you. You supply the lock and are the only one with a key. We do offer sealed locks for sale at our facilities. A valid driver's license is required for rental. At Eagle Storage we invoice every client prior to their due date and give them several payment options. You can drop your payment off at our Hudson Office during or after office hours. Payment can be mailed to us or you can go to the “submit a payment” portion of our website for credit card payment.